Appeals to urban, English middle-class audiences who want "action"
Shadow of his past association with controversial mining company Vedanta as a lawyer/board director hangs over "Operation Greenhunt"
Palaniappan Chidambaram sure has a sense of humour. The day after the Indo-Pak talks in Islamabad were derailed over home secretary G.K. Pillai’s “ISI behind 26/11” comment, some journalists asked the Union home minister if he would be pulling up his top bureaucrat. “There is no need for that,” Chidambaram reportedly quipped, “the Pakistanis have already fired him!” In his lighter moments, PC is also known to be an excellent mimic of the mannerisms and speech of some individuals from across the border. Make no mistake. Chidambaram is bright, savvy, energetic, efficient and, in one-on-one meetings, among the most impressive personalities in the UPA government. When he took over from Shivraj Patil, the veshti-wearing PC was seen as a big improvement over his sartorially obsessed predecessor. A year and a half later, however, he has become a tall magnet of non-stop controversy—attracting jibes from partymen, getting into turf battles with cabinet colleagues, even slamming “civil society” when it does not play along. The home minister has several admirers in the BJP. Is he the right man in the wrong party? 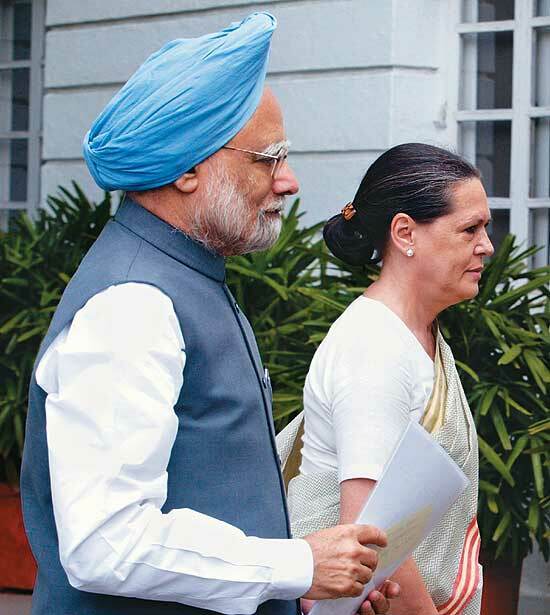 Then there is the attack from within the Congress, where many see his approach to the Maoist problem as being out of sync with the party’s humane line, articulated by its president, Sonia Gandhi. Little wonder leaders seen as close to the Gandhis, like party general secretary Digvijay Singh, have no qualms about calling Chidambaram “intellectually arrogant”; why, they even stand by their labels months later, saying it’s the “party view”. Then there are PC’s own hurriedly uttered sound bites on Kashmir and Telangana, and on terror attacks like the German Bakery blast in Pune, that come back to bite him at leisure. Add to this mix the many utterances of the loquacious home secretary that land the home ministry in row after row. Occasionally, Chidambaram has also had to clarify the meaning of his own remarks, usually made in the course of interviews to hand-picked TV anchors. 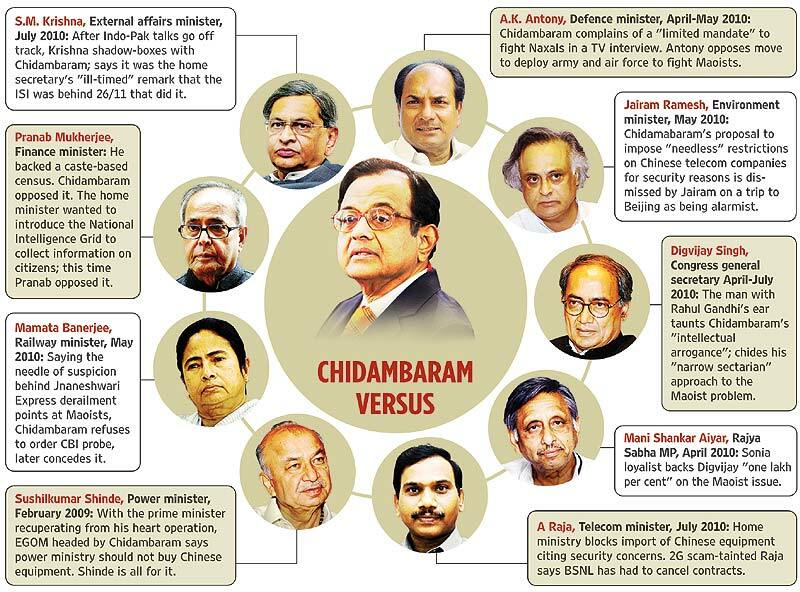 At the heart of Chidambaram’s growing disconnect is the perception that he is playing his own tune in the orchestra that is the UPA, probably even to its detriment. That, and the whispers in the party that Chidambaram is beginning to stand a tad too right of the ideological pole that encompasses the Congress’s fairly malleable ideology. As minister of the “dream budget” of 1997, he was seen as unabashedly pro-business and adored by the captains of industry. As home minister in 2010, he is seen as a hawk who considers the human origins of certain problems only as an afterthought. Is he, therefore, the “right man in the wrong party”, a tag that was once attached to Atal Behari Vajpayee? A senior Congress leader says that may be an overstatement, but yes, Chidambaram certainly stands to the right of the Congress line on several issues. In that case, why is he there? Because he is seen as more talented than the average politician and appeals to a middle-class constituency; and when it comes to forming a government, there is always a hunt for the talented few to man critical ministries, says the leader. He has many critics in his own party. Indeed, this correspondent could not find a single Congress leader who spoke positively about him. But there are an equal number of admirers in the BJP. During a debate in the Rajya Sabha on the attack on the crpf in Chattisgarh, leader of the opposition Arun Jaitley concluded his speech by rhetorically asking Chidambaram, “We are willing to support you...is your party willing to support you?” It was to some extent a deliberate tactic by the opposition to show Chidambaram as different from others in his party. The BJP, after all, has seen its own middle-class constituency shrink, and Chidambaram appeals to precisely that audience. No-nonsense, articulate, tough on terror. A senior BJP leader says Chidambaram has two big problems: “First, he has given too many interviews to select English TV channels. Second, he has ditched the Congress line on Maoist terror and follows a line that is closer to the BJP line.” The question that may be asked is not whether Chidambaram is a closet BJP man in the Congress, but whether it is deliberate tactics for the Congress to be all things to all men; different strokes for different folks. It is in the area of policy and political management, his presumed usp, that Chidambaram has run into his biggest controversies. For instance, many Congress leaders grumble off-the-record that he is largely responsible for the mess in Andhra Pradesh with his handling of the Telangana issue. 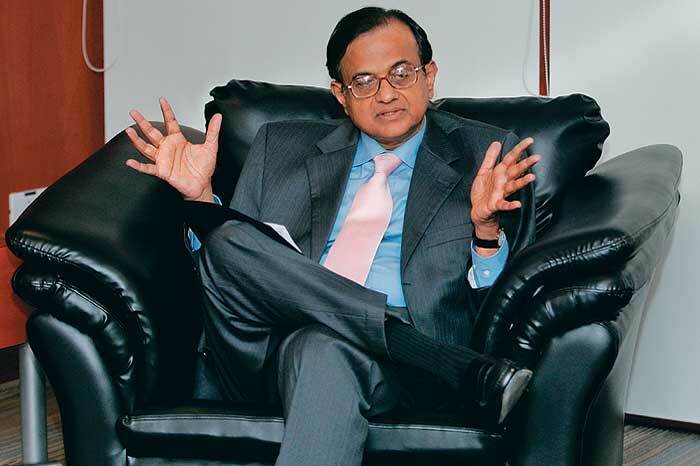 Chidambaram is one of the country’s top lawyers. Many rank him as the best among the legal luminaries in the Congress. A Congress leader says that perhaps he sees every problem as a legal brief that must be prepared quickly and efficiently but this does not make for good politics. But give him an issue like handling the GoM on Bhopal and by most accounts he did a thorough job. Similarly, when the Liberhans commission report was finally tabled in Parliament in December last year, Chidambaram stood for over one and a half hours and read out a reply at the end of the debate even as he was being pelted with paper pellets and the opposition ruckus drowned out his speech. When I heard Azad had been killed, I could not help thinking he was tracked through contact with me. But I trust the home minister’s written word that he wants to talk to the Maoists. Later, Swami Agnivesh met the prime minister. “The PM promised to look into the circumstances leading to Azad’s death, an event that has come as a blow to the talks between the Maoists and the Centre. 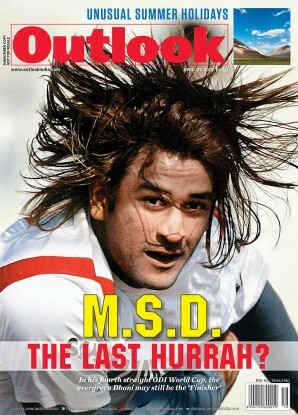 The PM was most sympathetic,” says the Swami. So, is Swami Agnivesh suggesting that he does not trust Chidambaram and was used by him to track the top leadership of the Maoists? “No, not at all. He is the home minister and I trust his written word that he would like to engage in a dialogue with the Maoists. It is the first time a home minister has made such an offer. But if an inquiry into Azad’s death is not done in a credible manner, all efforts to find a solution will be lost,” he says. There is, of course, an increasingly strong point of view in the security establishment that you don’t talk to Maoists, you simply kill them. Similarly, you don’t talk to Pakistan, you persistently fight it in every forum and ram home the point that the Pakistani state and ISI sponsor terrorism. Depending on whether one is a hawk or a liberal, home secretary Pillai’s statement, on the eve of Indo-Pak talks, is seen either as just a reflection of that truth or a direct act of sabotage. The man is in conflict with far too many of his colleagues. That is part of his burden. The relevant point that some commentators have made is that Pillai never said anything of the sort when his own minister visited Pakistan last month, when the same body of information was available. Many political observers also suggest that Pillai could not have made such a statement without Chidambaram’s knowledge. Certainly, the entire visit of foreign minister S.M. Krishna was torpedoed by Pillai’s utterance. The fact that Krishna subsequently spoke against Pillai’s remarks and called the timing unfortunate is seen as significant. It is believed that this would only have happened with the endorsement of Prime Minister Manmohan Singh, who is keen on an India-Pakistan track. Last week, the home ministry appointed a spokesperson, presumably with the idea of putting a stop to undiplomatic remarks. But at times it is Chidambaram the minister, a man generally known to be in command of his words, who stirs a controversy. In the context of Maoism again, he famously said in the course of a TV interview that he had a “limited mandate”. Was he suggesting greater fire power? Perhaps direct engagement by the army? Chidambaram had to clarify at that point that law and order was a state subject and thus he had a limited role to play. That prompted critics to argue that if that was so, was it good tactics for him to project himself as the face against Maoists? Incidentally, after Azad’s death and fresh threats from the Maoists, the home minister’s security was upgraded last week. Similarly, when the latest round of trouble began in Kashmir, Chidambaram was quoted as saying that the Lashkar-e-Toiba was possibly behind it. No one in Kashmir suggests the involvement of the LeT in what appears to be a spontaneous protest, although the possibility of the Lashkar fishing in troubled waters remains. Then again, on the issue of the Pune terror blasts, the home minister had said that one Abdul Samad was believed to be behind it; the young man was subsequently let off for lack of evidence. What has also added to Chidambaram’s woes is the perception that with a hawkish internal security line, he is in conflict with too many of his colleagues. On the issue of the caste census, Chidambaram leads those opposed to it. He has reportedly advocated that the air force help in fighting the Maoists; defence minister A.K. Antony is opposed to it. Chidambaram is for a ban on Chinese telcos, citing security concerns; environment minister Jairam Ramesh calls this alarmist. S.M. Krishna has tried to simplify the issuing of passports but the home ministry has refused to simplify the process from the angle of police and scrutiny of applicants. Security, terrorism, talks with Pakistan are all volatile issues that determine ideological and political faultlines in our country. In a recent interview, when asked about the continued criticism of his anti-Maoist policy by Digvijay Singh, the home minister said he will be “the happiest person if someone can do the job better”. Even that half-despairing riposte, perhaps, reveals the supreme arrogance of the man who also famously reminded the nation that “the buck stops here”.